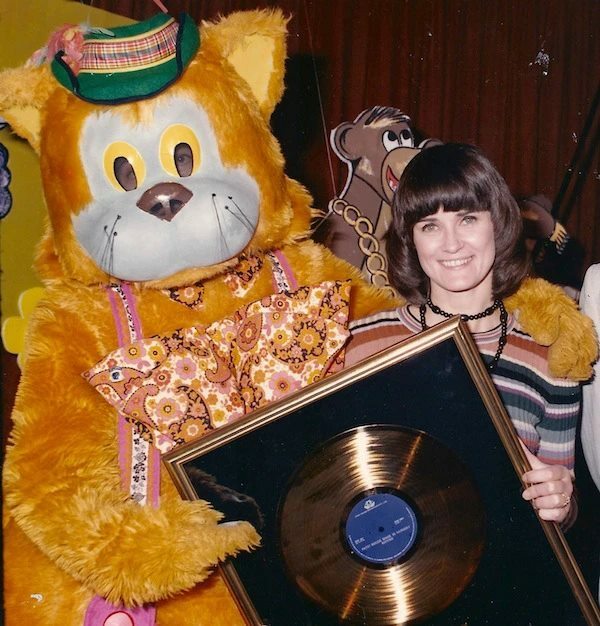 Another Gold Record. 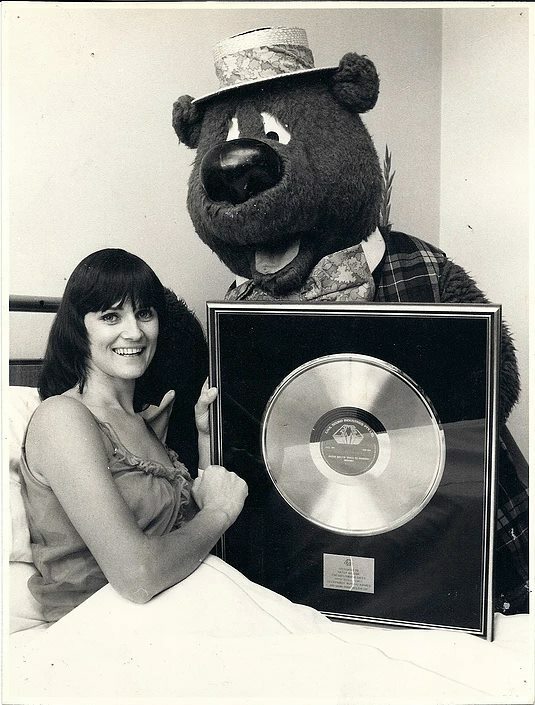 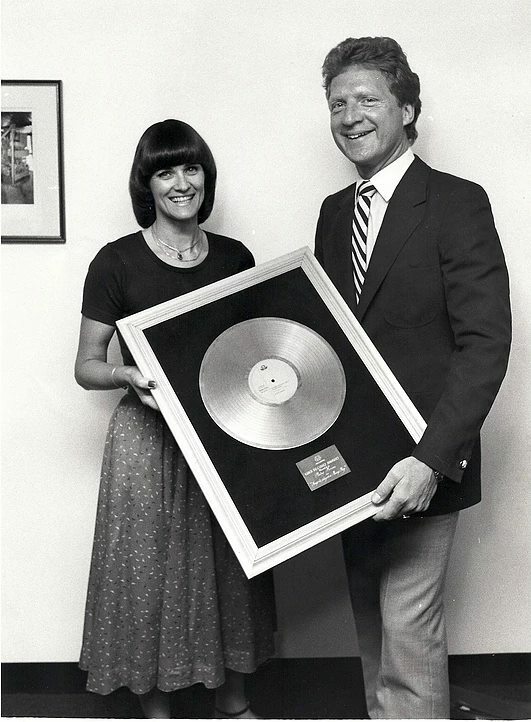 Patsy is presented with a Gold Record by her manager and founder of "Patsty Biscoe Records" John Evans. 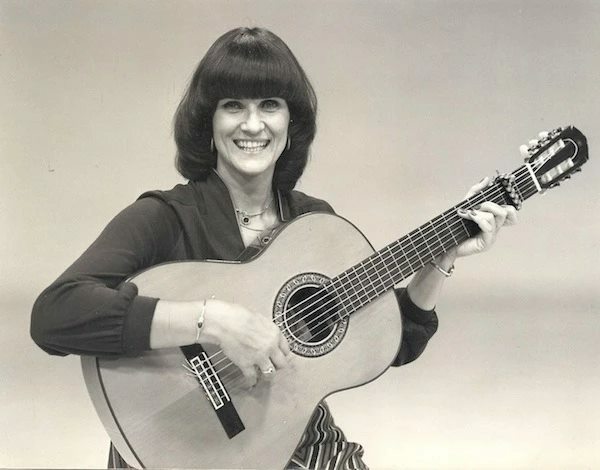 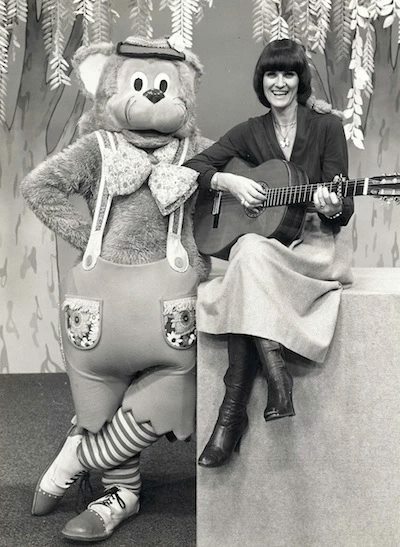 Patsy Biscoe Australia's original children's entertainer. 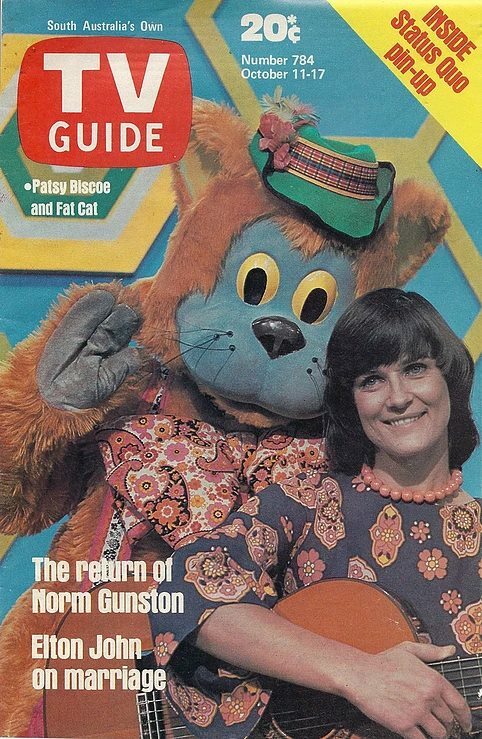 Fat Cat and Friends. 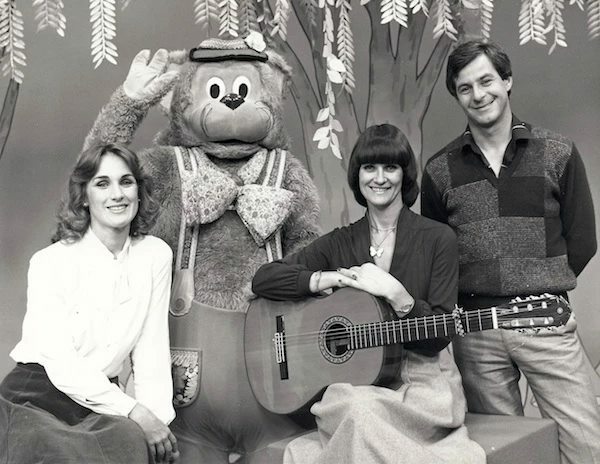 Patsy with the presenters of the television program "Fat Cat and Friends". 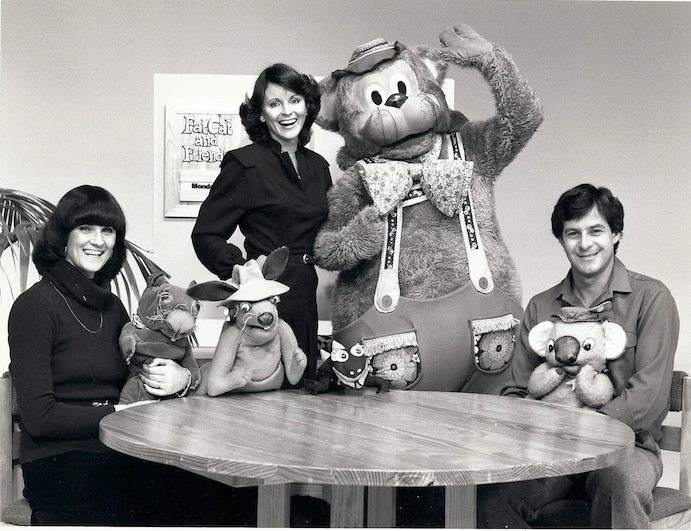 Fat Cat and Friends Patsy with the presenters of the television program "Fat Cat and Friends". 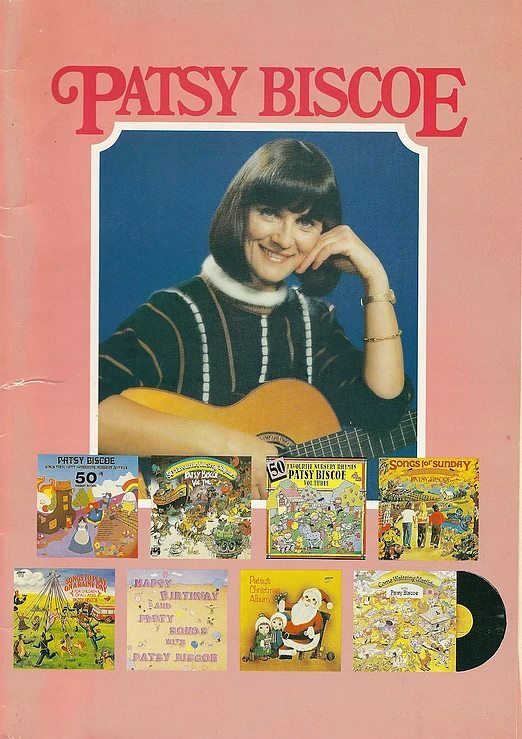 Catalogue Cover of Catalogue of Patsy Biscoe's albums.